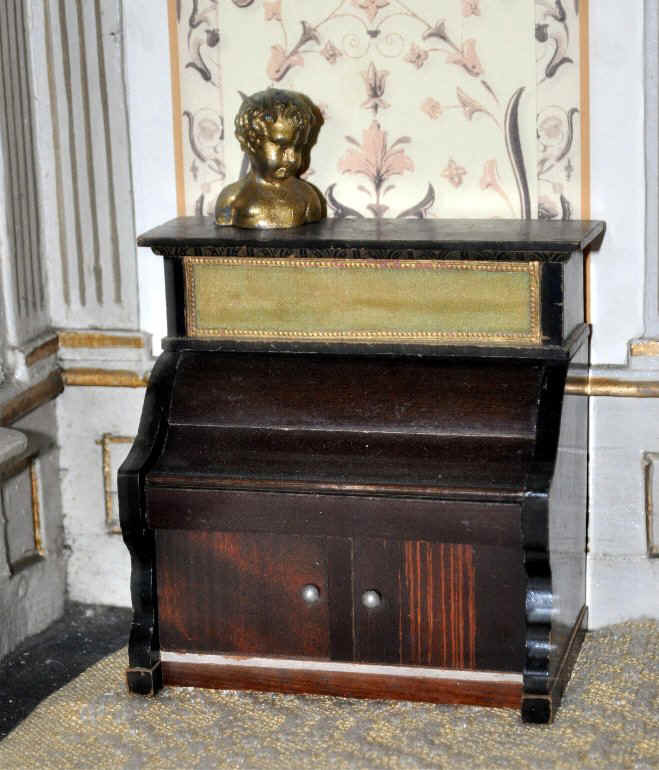 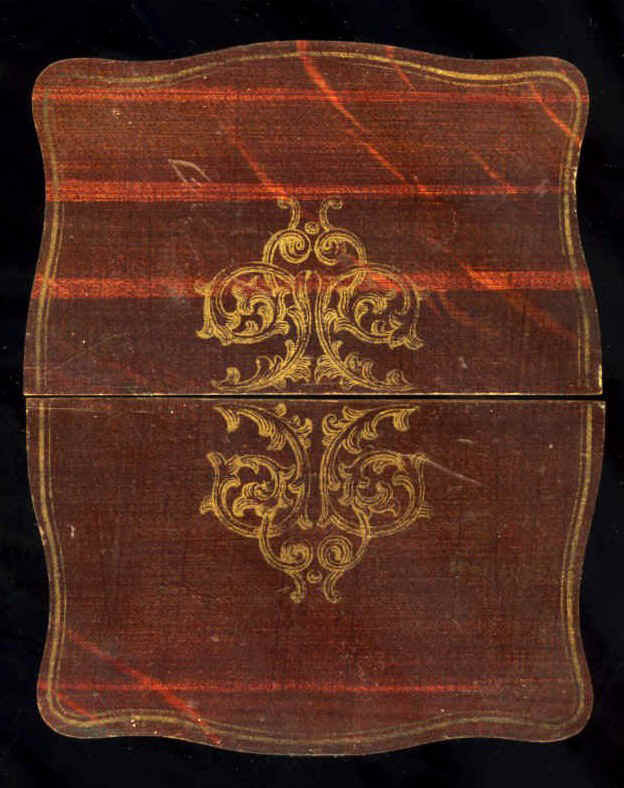 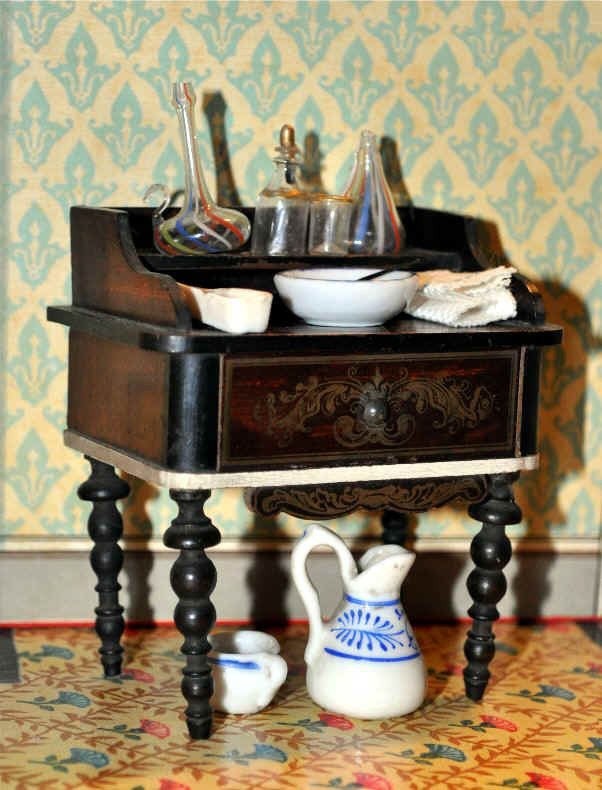 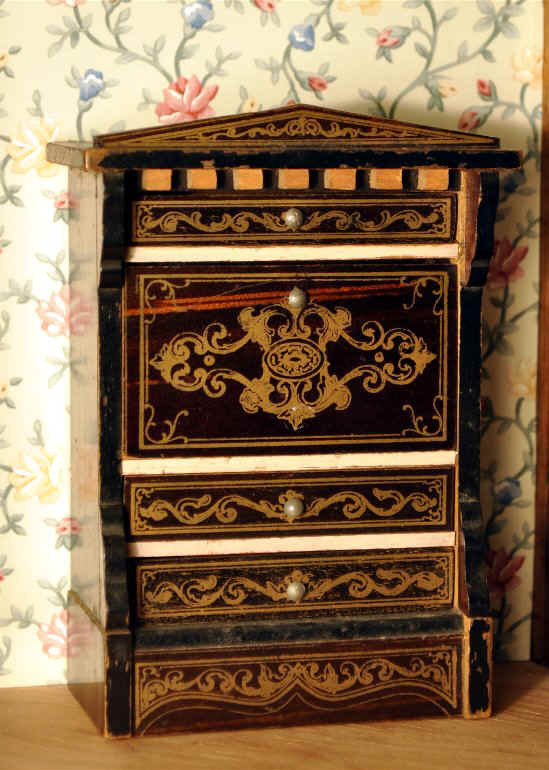 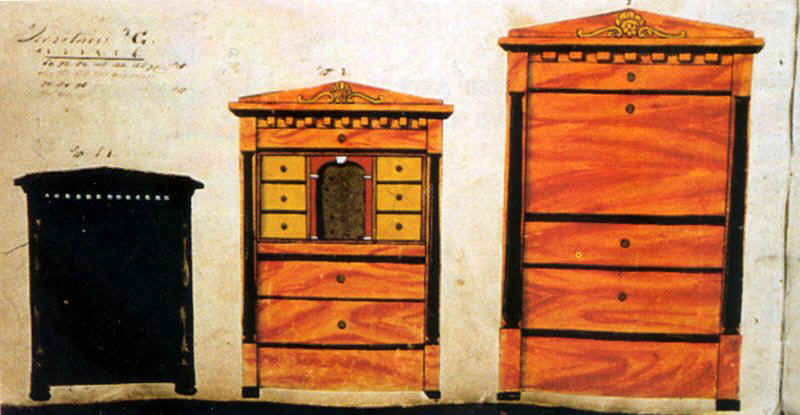 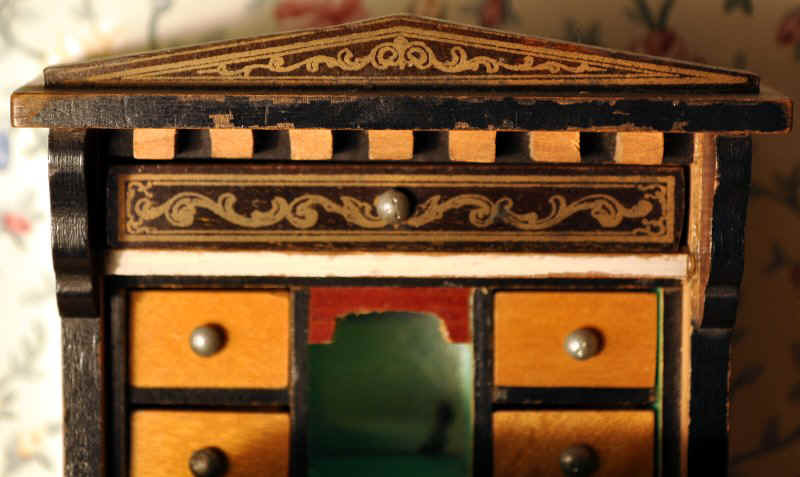 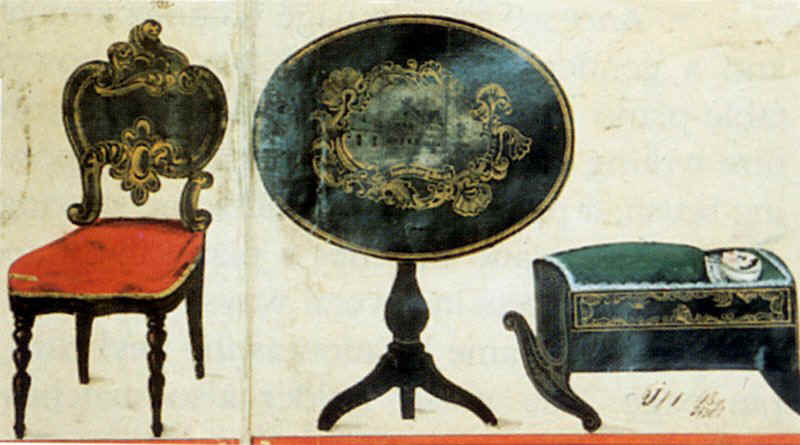 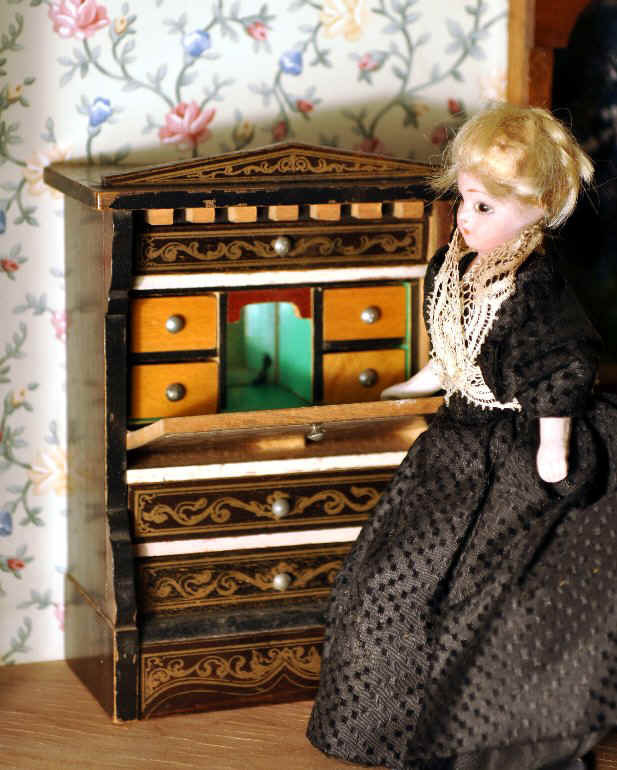 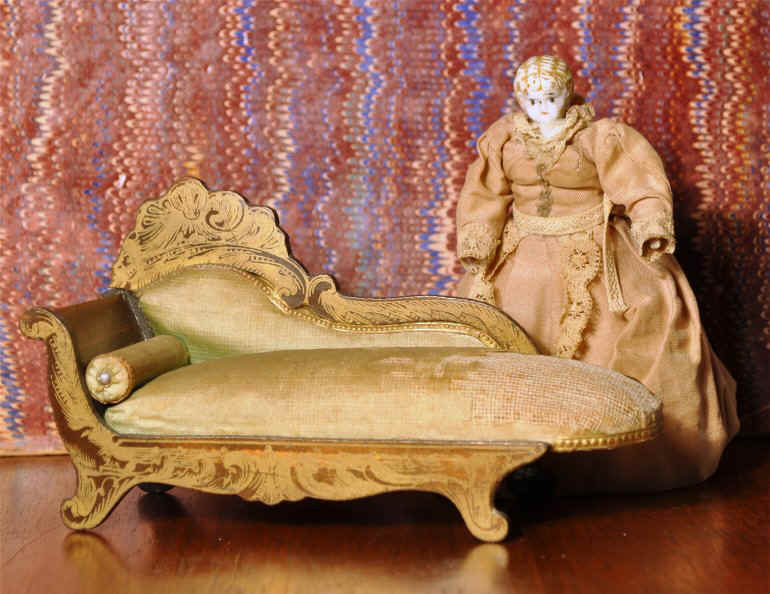 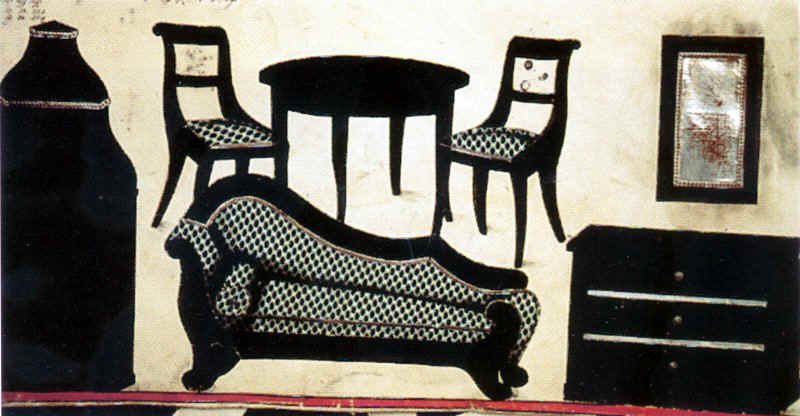 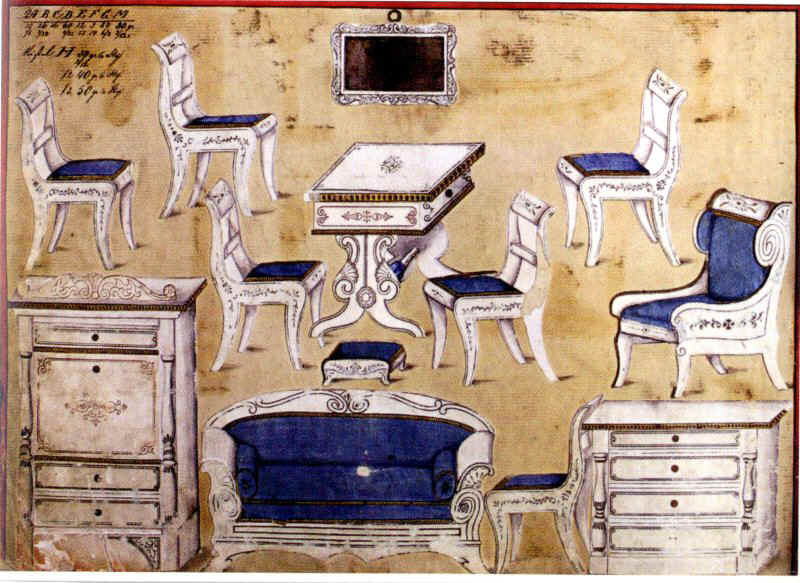 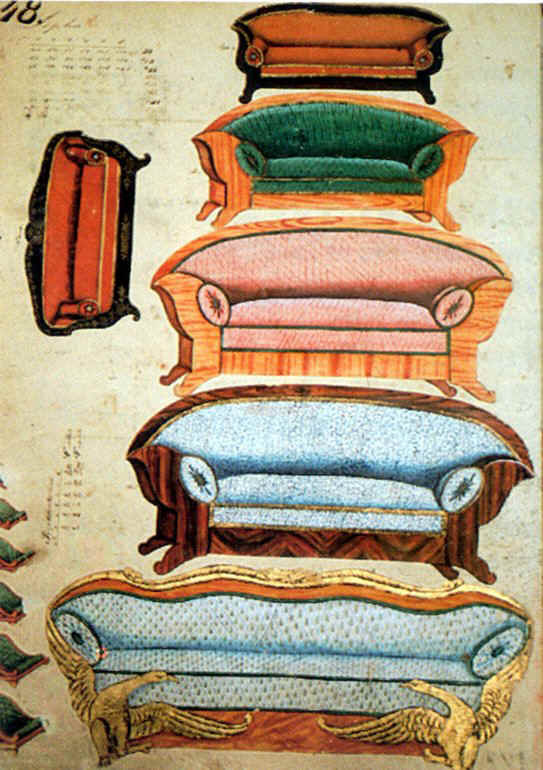 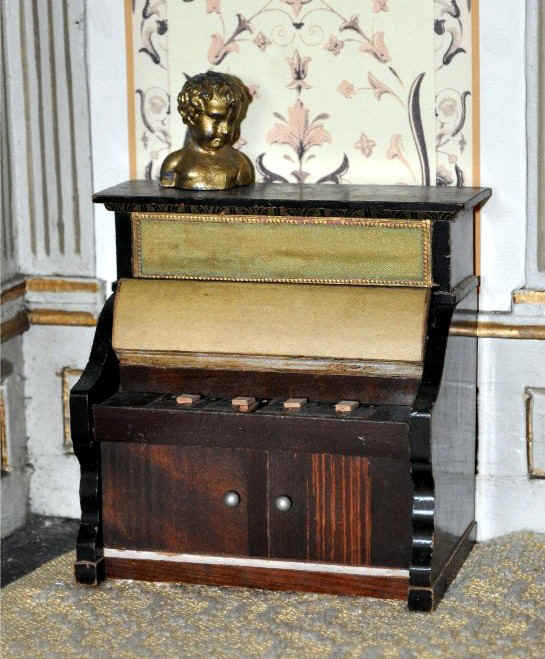 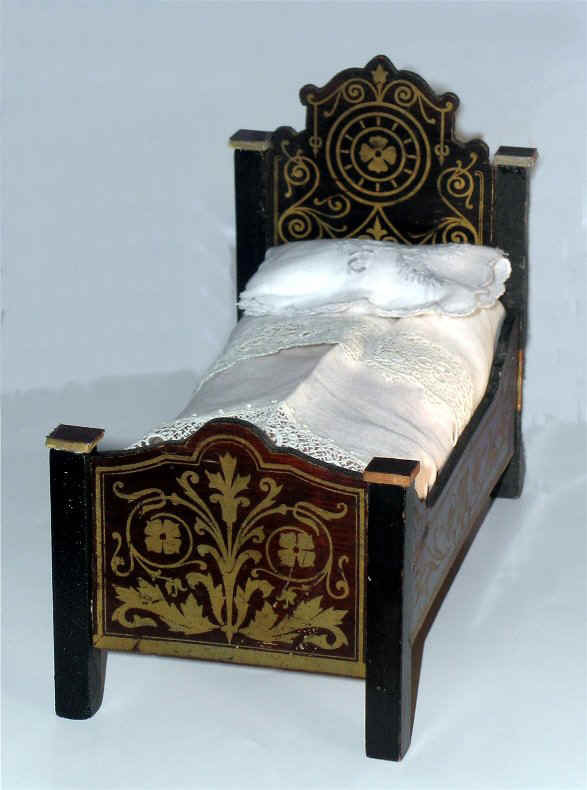 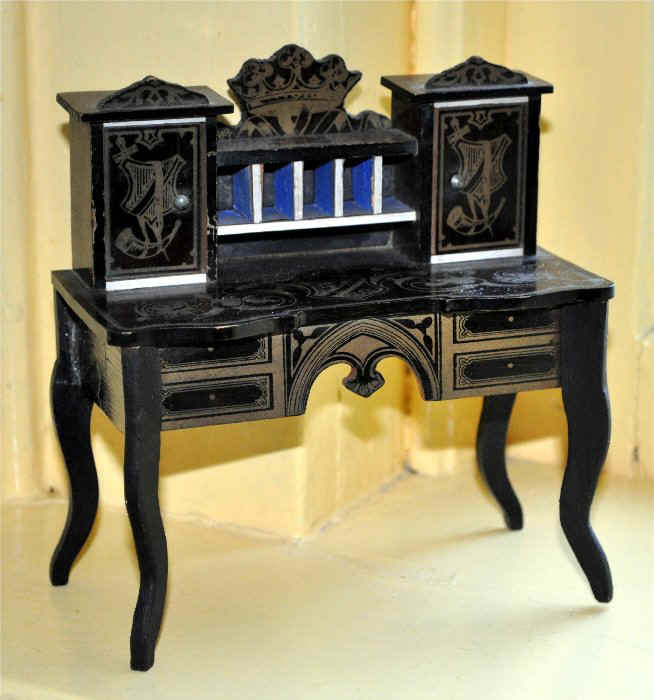 For a helpful article on Johann Daniel Kestner Jr with illustrations from his c1850 catalogue in the archives of the Museum of Schloss Tenneberg, Walterhausen, Germany, see "Kestner's Doll' House Furniture" by Christiane Gräfnitz in Doll News (fall 2000): 56-59. 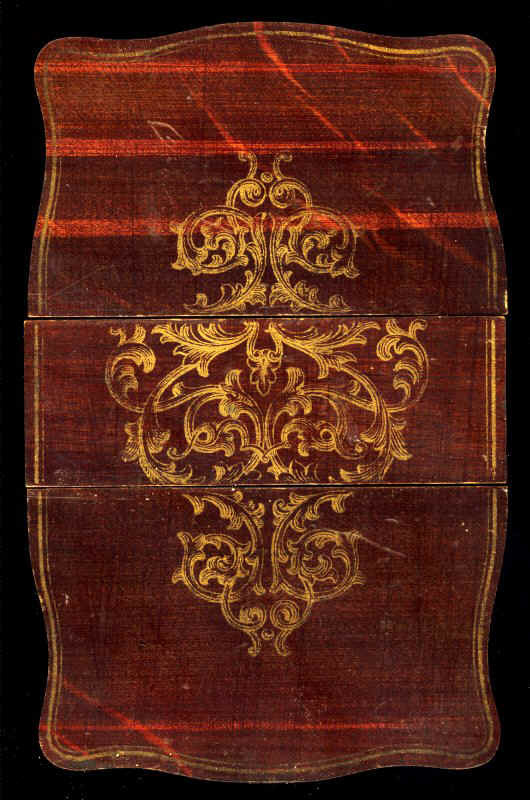 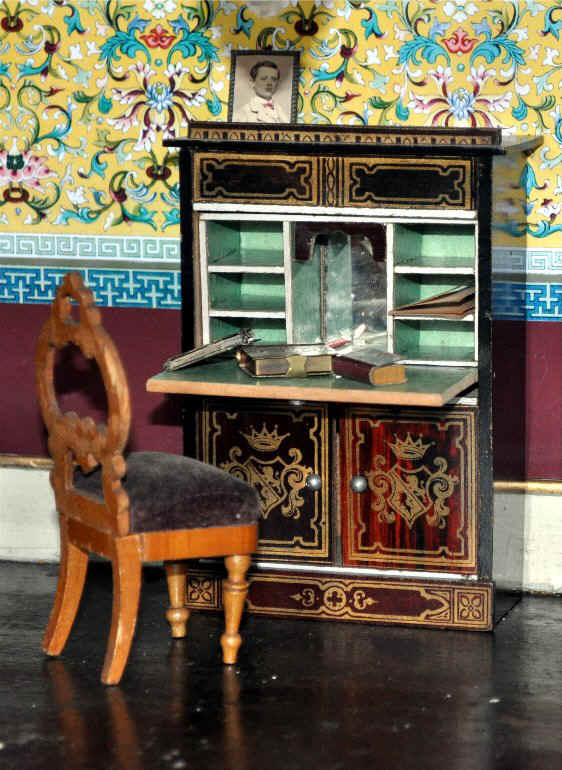 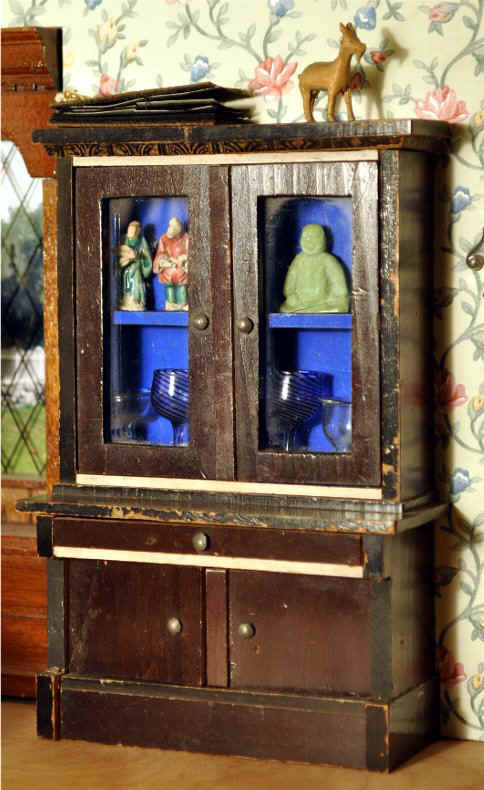 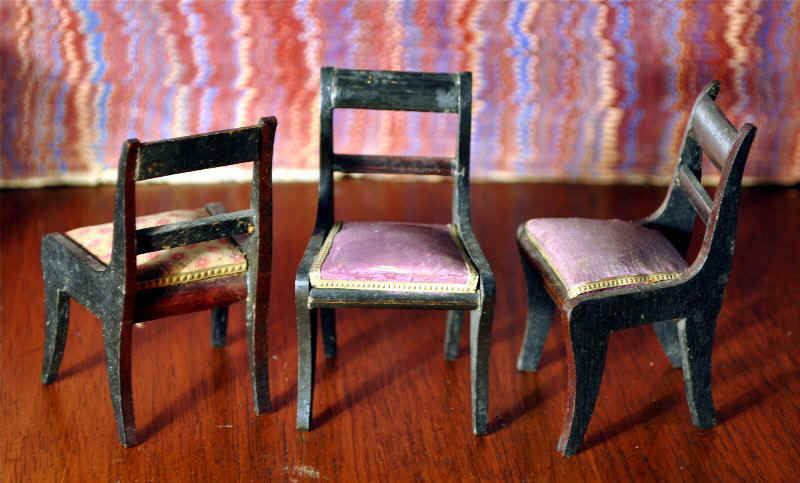 This form of chair was popular in the second half of the 19th century among German dollhouse furniture makers. 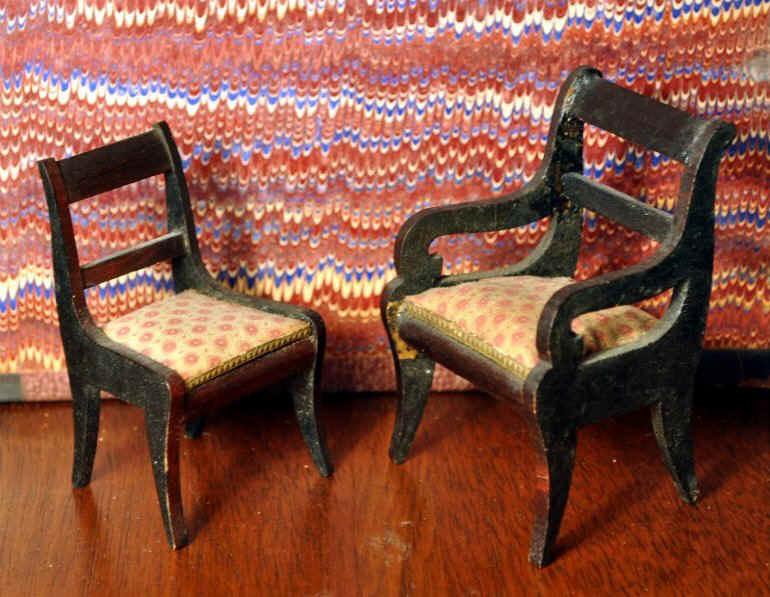 The leg form with concave curves is known as klismos after Greek and Roman models, as enthusiastically embraced by early 19th century real chair makers in Europe, for example, Thomas Hope in England in his Household Furniture and Interior Decoration of 1807. 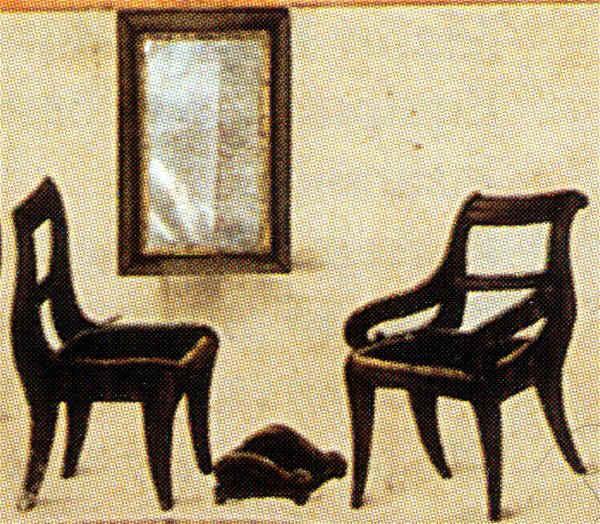 "The beauty of the design" was praised and repeated by J.C. Loudon in his Encyclopaedia of Cottage, Farm and Villa Architecture and Furniture of 1839 (left). 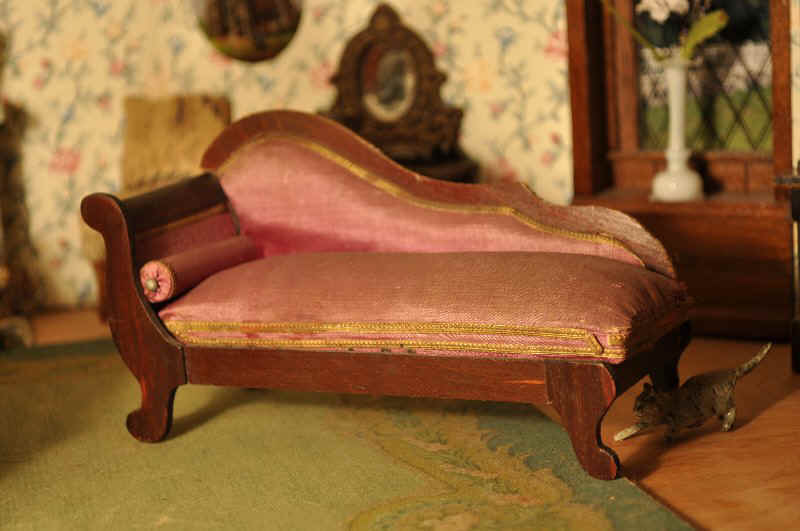 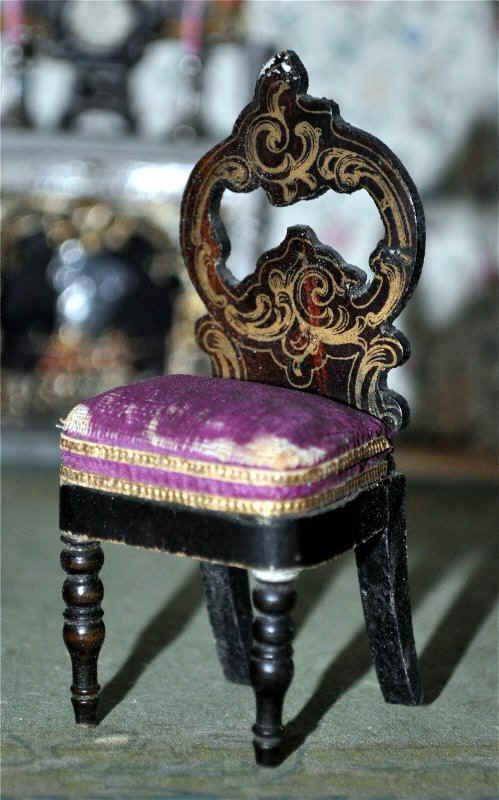 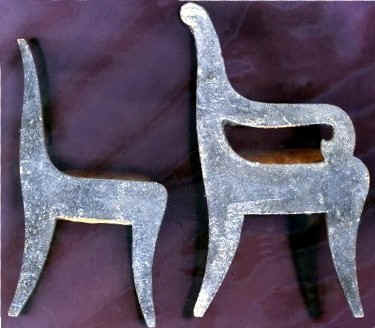 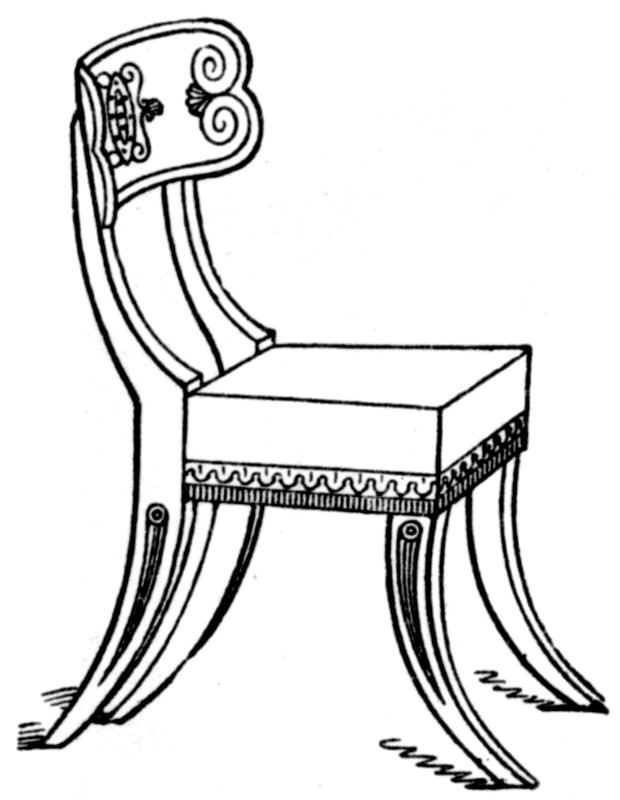 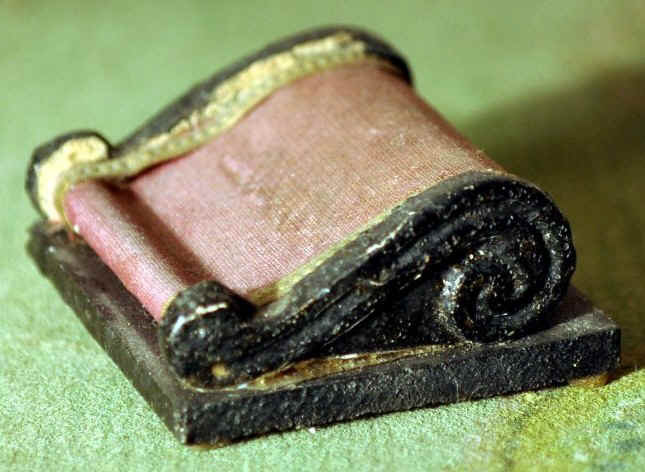 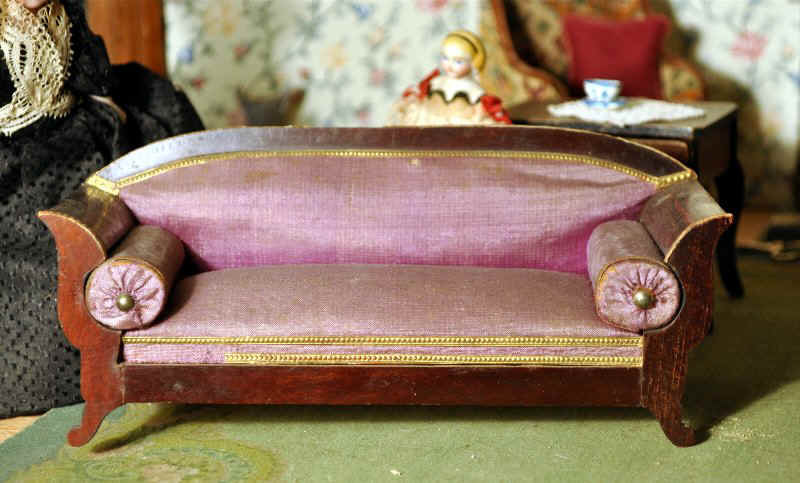 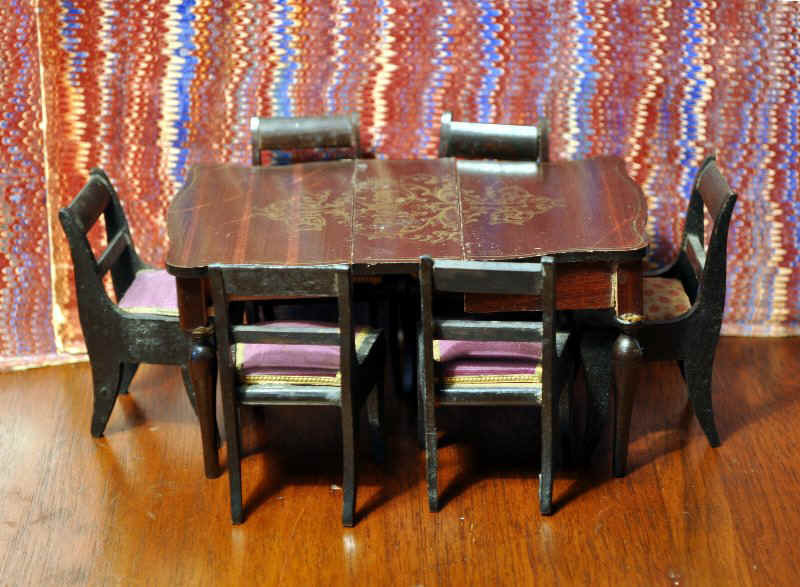 One suspects the prevalence of the klismos leg in miniature chairs is because one could saw the form in one piece with the back side and even include the arm in an armchair. 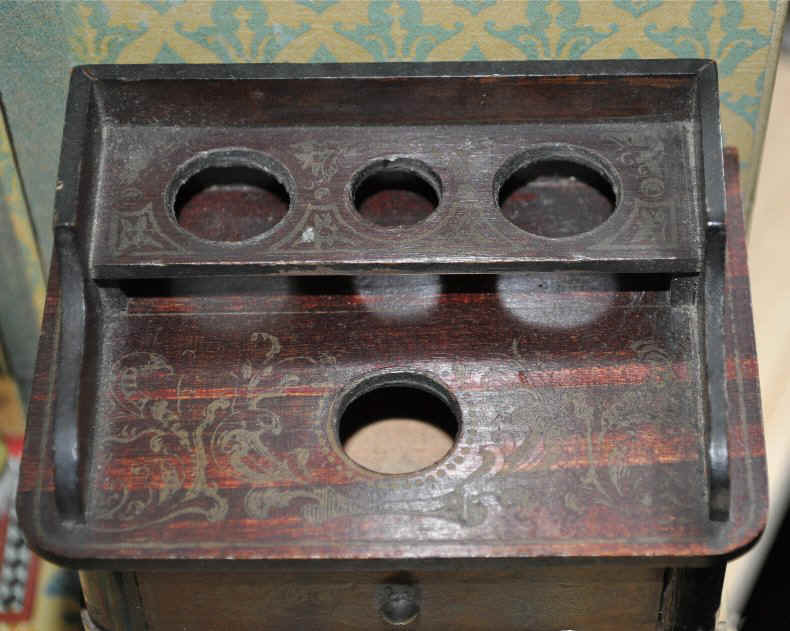 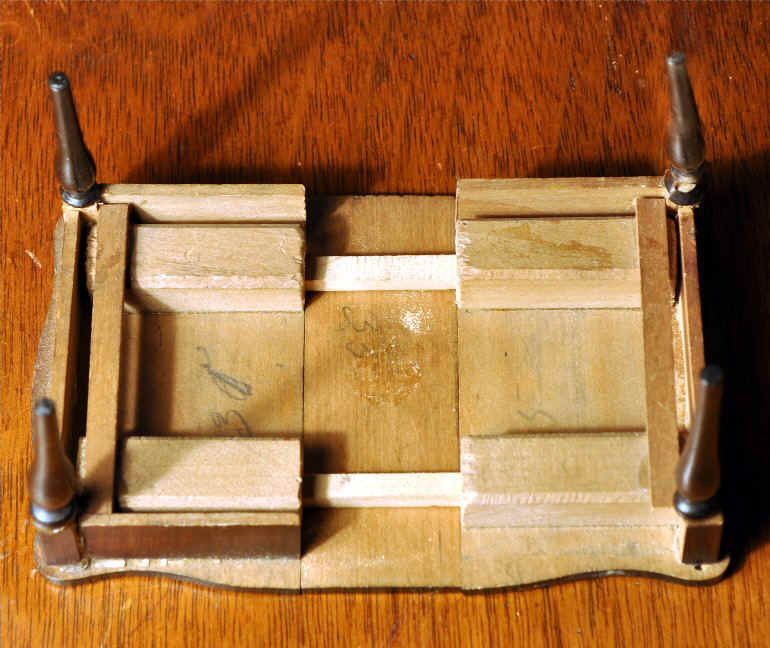 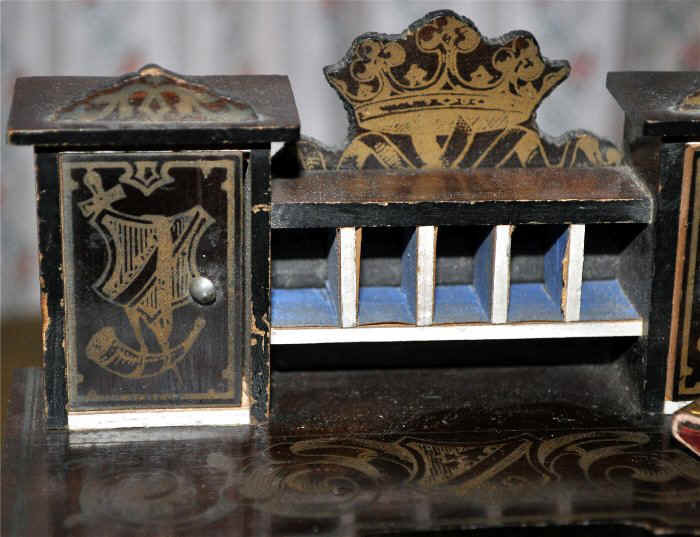 The two cut parts were then attached with glue to the crest rail, back bar and seat. 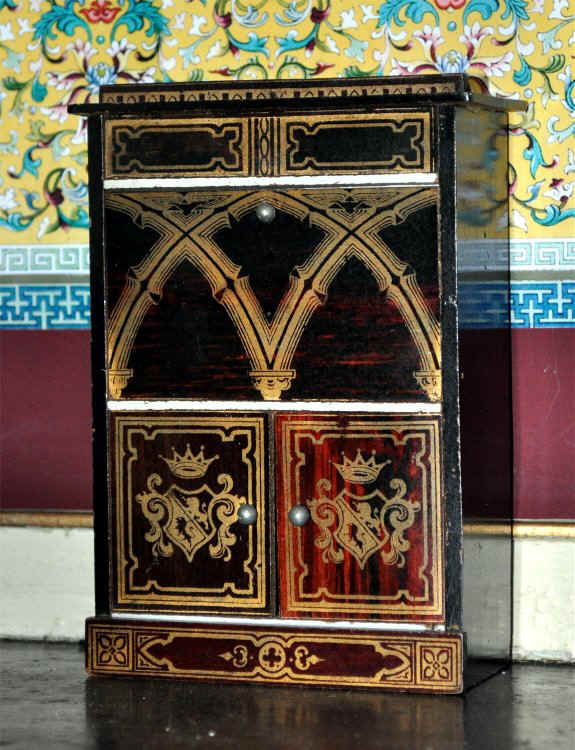 Kestner shows various colours but black is most commonly found . 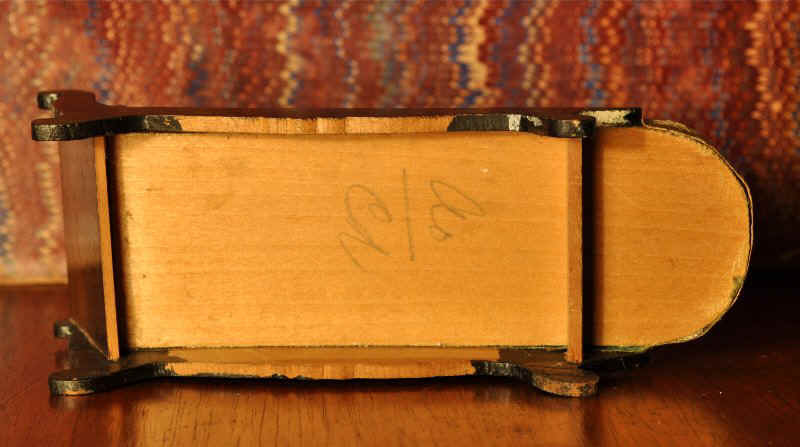 The scale also has a number of variations.